Five beautiful girls with five unusual eccentricities and one common problem – being stereotyped! That’s what MX Original Series ‘Aafat’ is all about! 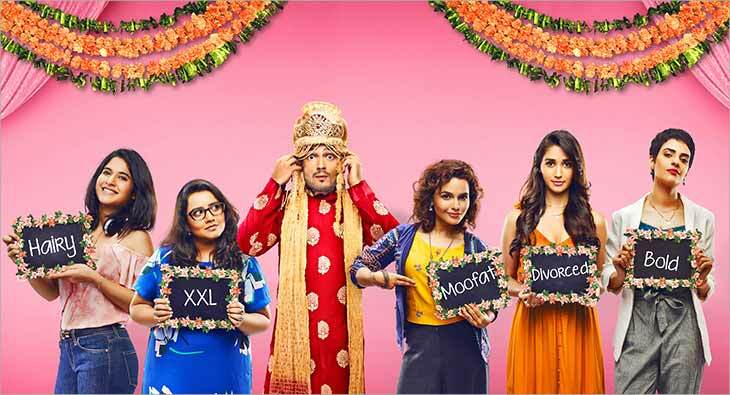 MX Player brings viewers this web series that is a hilarious yet thought provoking take on arranged marriages and what society perceives to be “perfect bride” material. The series stars Chitrashi Rawat, Pushtiie Shakti, Nikita Dutta, Anshul Chauhan, Neelam Sivia, Sidharth Bhardwaj and Seema Pahwa in key roles and is directed by Shanhant Shah. The show streams for free starting 20th February only on MX Player. Aafat is the story of five prospective women who would suit for any man on Earth but each of these firebrands has a unique quirk that many believe to be imperfections. Their lives run parallel to each other with a common thread attached - the boy who they are meeting from a marriage agency. Ayesha (Anshul Chauhan) is a successful voice-over artist but she’s NEVER waxed her body. Anu (Neelam Sivia) is India’s modern young woman who works as a coder in an MNC. But, she’s bald! Faiza (Chitrashri Rawat) has a way with words, she is an aspiring poet but one with really colourful language. Aditi (Shakti) holds an MBA degree and is born with a silverspoon but she is overweight. Titli (Nikita Dutta) is a talented entrepreneur but her scorecard is flawed as she is a divorcee.